Soccer and Tackle Football are down while Ice Hockey, Rugby and Lacrosse are up. A new study out this week that tracks the change in youth participation in a number of sports in the USA over a five year period and comes with surprising finds. 2015 SFIA U.S. Trends in Team Sports Report looked at the total change in youth participation (ages 6-17) in sports from 2009 to 2014 and found that there is a measurable shift in what kids are doing. Looking at the top, the kings of youth sports are still Basketball, Soccer, Baseball and Football but each one of them has seen a decline in participation. Tackle Football, most notably. Over the years, there has been a lot of talk about the popularity of youth soccer in the United States. One of the things the sport has that is overlooked in studies is participation by gender. Tackle Football and, to a large degree Baseball (Softball is teased out in this study), are predominately only available to boys. This obviously means that half the population in the country isn't interested. This is why you get talking heads in sports that dismiss studies like this because of the lack of correlation to the popularity of sports among adults. 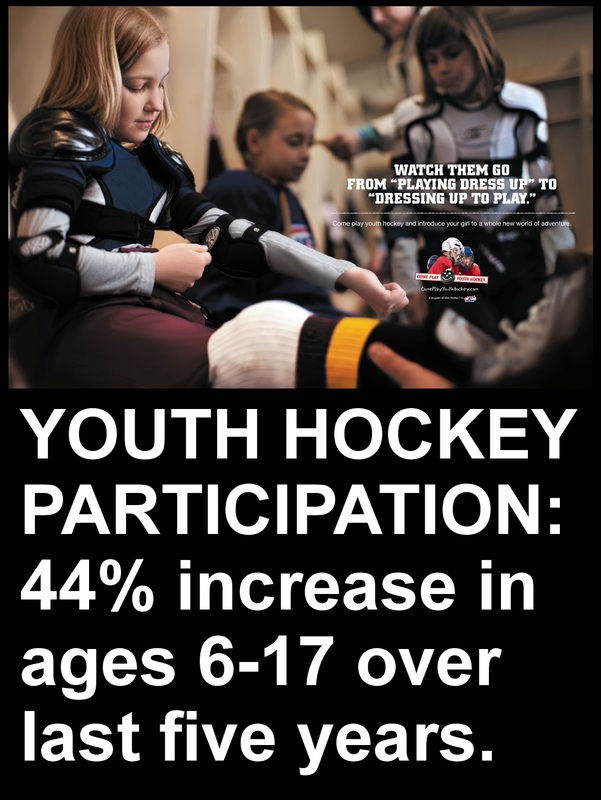 What the number above suggest is that 10% of kids are finding something else to bide their time with and there is a shift away from a few of the traditional sports to 2nd tier sports like Rugby, Ice Hockey and Lacrosse. On the surface, the gainers are sports that are usually reserved for middle to upper middle class. One could conclude that recent concerns with concussions has devastated American Football and Soccer within the well-to-do sector of the population. In a recent article in the Sports Business Journal, Bill King tackled the topic and talked to a lot of people and asked them about what might be causing the changes. Answers went from kids focusing on one sport these days to the concerns about safety. If anything, after reading the article, you will be left with no conclusions. Studies like this one can be a call to action, however. 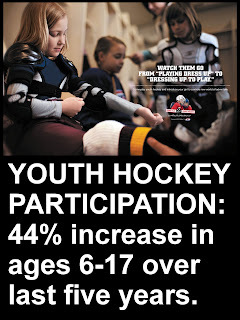 There are efforts being made by USA Hockey to increase participation that appear to be working as well as, on the other side of the spectrum, a "Heads Up" training program the NFL has introduced to help ease parents minds on concussions. The latter appears not to be working - save for the fact that the fastest growing demographic watching the sport on TV is women (go figure that one out). We'll see what this means in the years to come. It is interesting to think about but if you ask 100 different people what they think of it, you will get 100 different answers. Except on the top of Tackle Football (that's likely bad news for the sport). So what does this mean for the sport in the US? It's a particular call out because the high participation numbers have been used to foretell the coming popularity of the sport at the professional levels. We've been hearing it since the early 1980s. Fast forward 30 years and it turns out that the only thing it foretold in those numbers was that lots of youth programs figured out how to make a lot of money. The US has a professional league going on 20 years now, but the figures are showing that the number of US-born players in MLS is decreasing by the year and they are having to drop to "the minors," where there is no promotion and relegation and very few scouts watching, to keep playing. The lack of an organized system this country has been talked about countless times, but perhaps if the trend is parent pulling their children out of the sport because of safety, travel, cost or unfulfilled promises at expensive "elite" levels then maybe we'll see some real change happen. Nice information, loaded with information.